I am completely in love with this recipe. Originally born out of the need to use up some left over pistachios, it turns out this is possibly one of the easiest and quickest recipes I’ve ever baked. There is no creaming of butter and sugar involved, no separate addition of ingredients, no mixer needed. All that’s needed is to combine the wet ingredients with the dry ingredients using a spoon, pour into your muffin cases and bake. Afternoon tea is ready in just 40 minutes, start to finish. The only fiddly bit involved is the toasting and blitzing of the pistachios. If you were to leave these out and just make chocolate orange or chocolate chip muffins, you’d be looking at a 30 minute turn around time for these delights. I’ve never been a massive muffin fan after consuming too many that managed to be dry whilst simultaneously containing your daily allowance of fat. These little beauties are light and fluffy, not dry at all, and full of flavour. The toasted pistachios add a wonderful nutty toastiness to the background, with lovely citrusy hints from the orange zest and, if you eat these whilst still warm, the gooey chocolate chunks are obviously a particular highlight! 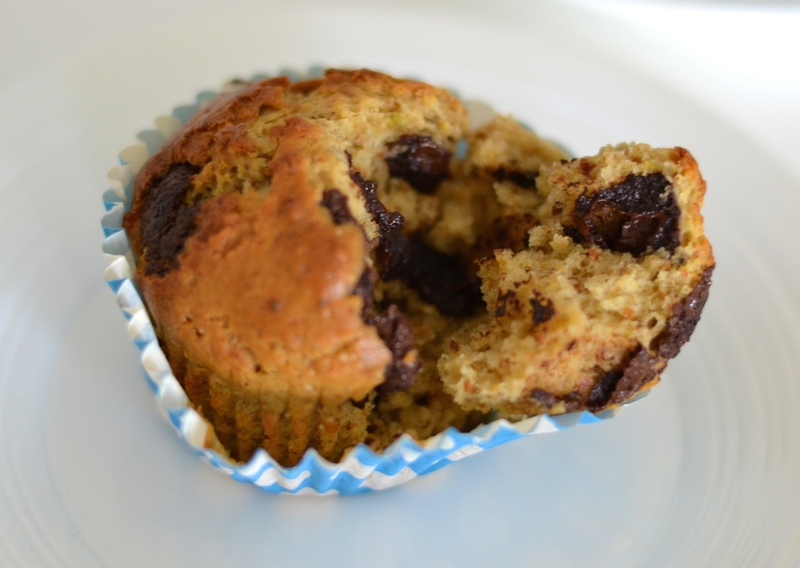 The secret to a good muffin is not to mix things too much. 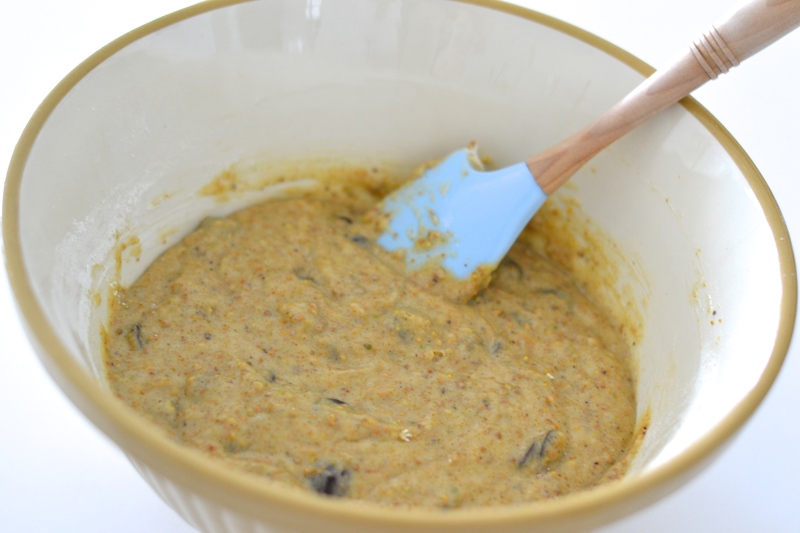 Once you add the dry ingredients to the wet ingredients, you must only give the batter the briefest of mixes. Everything needs to be combined but don’t worry about any lumps or bumps – these miraculously get sorted out in the oven. As with muffins and cookies, these are best eaten on the day of baking but being so simple and speedy for once that shouldn’t be a problem! 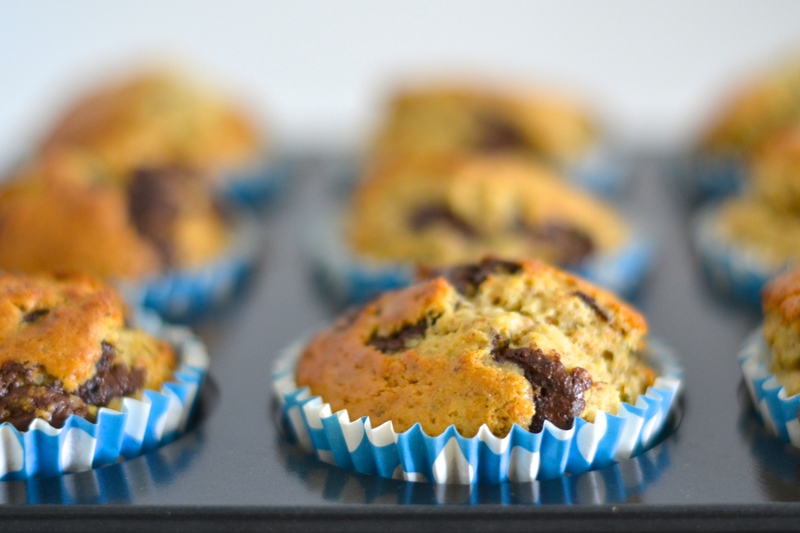 Note: the recipe below can easily be adapted to make blueberry muffins, choc chip ones, raisin, lemon and poppy seed, etc. Just leave out the pistachios, increase the flour by 50g and also leave out the orange zest and chocolate depending what else you’re adding. Pre-heat the oven to 200°c/180°c fan/390°f. Place 10 muffin cases in a muffin tray. Spread the pistachios out on a baking tray and bake in the oven for about 5 minutes until lightly toasted. Keep an eye on them as they can burn very quickly! Once cool, blitz the nuts into a fine powder in a food processor. 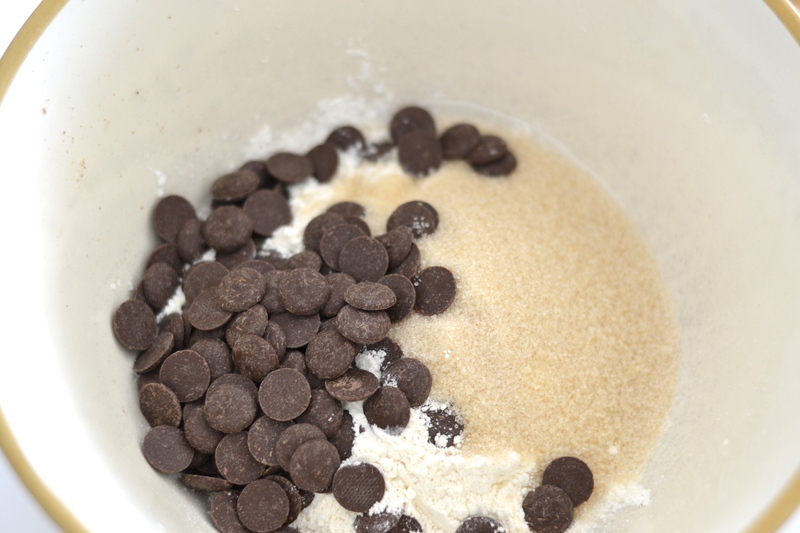 In a large bowl, mix together the flour, sugar, nuts, and chocolate chips. In a separate bowl beat together the egg, milk, oil, and orange zest using a fork. 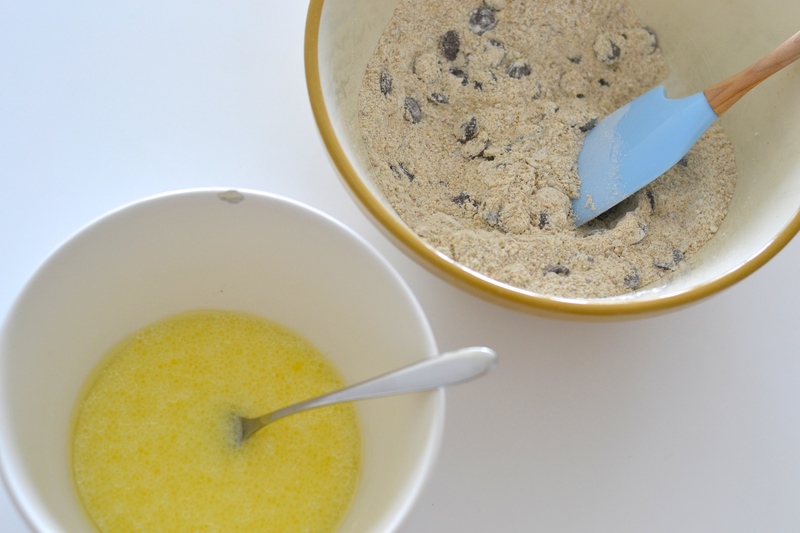 Add the wet ingredients to the dry ingredients and mix together until just combined. 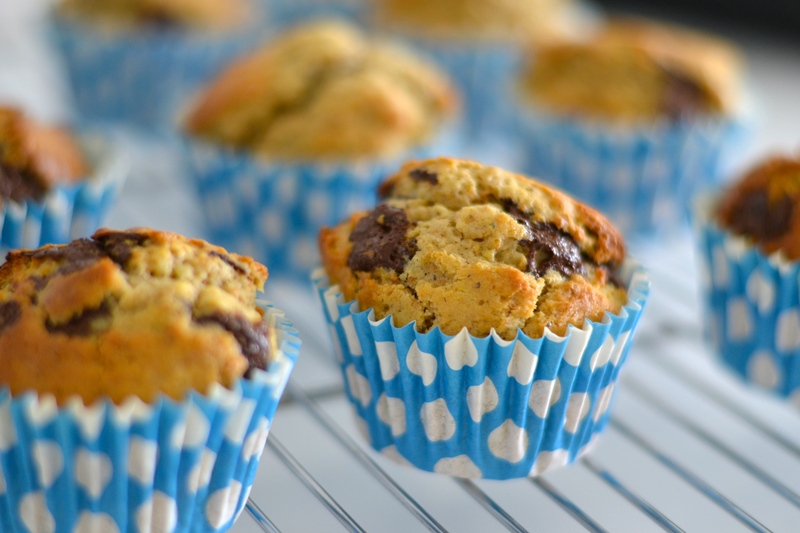 The batter can be a bit lumpy still – just make sure you don’t overwork it as this will result in tough, chewy muffins. 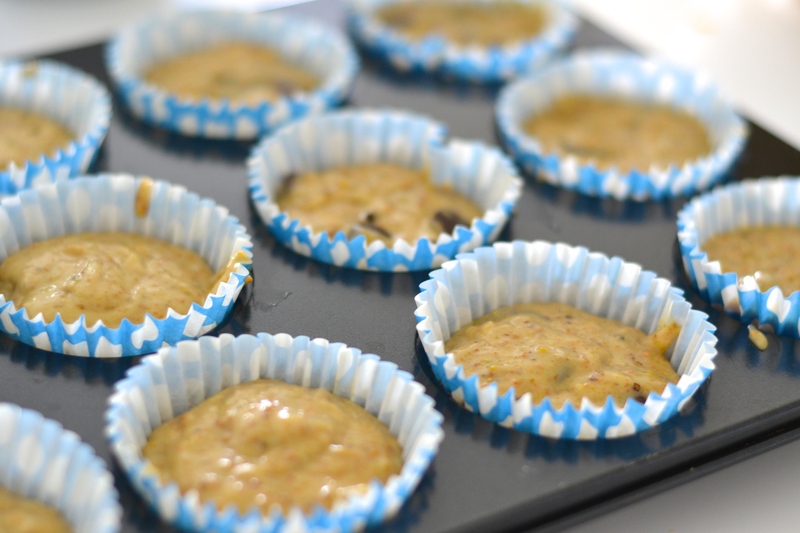 Divide the batter between the muffin cases and bake in the oven for 20-25 minutes until well risen and golden. You can check they’re done by inserting a toothpick into the centre of one – if it comes out clean they are done. They look so good! Those flavors definitely belong together, yum!